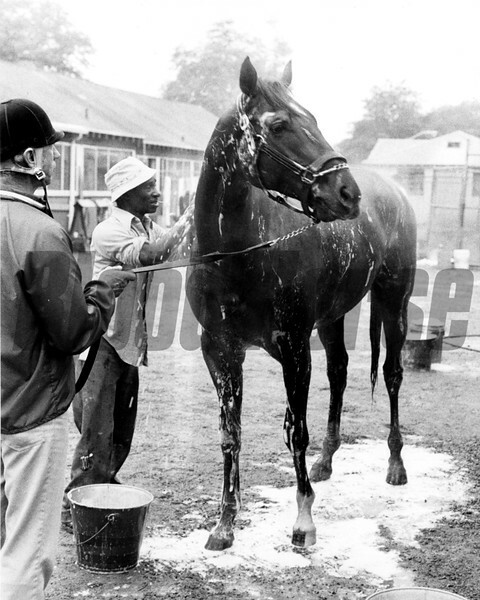 Alydar getting bathed after his morning workout. Charlie Rose keeps him in check while Clyde Sparks scrubs him off in 1979. 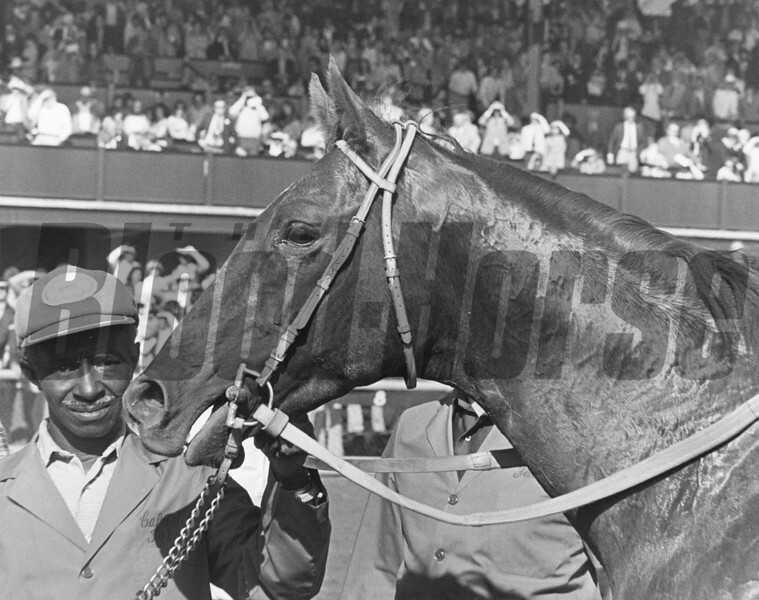 Alydar headshot in 1978 at Belmont Stakes with groom, Clyde Sparks. 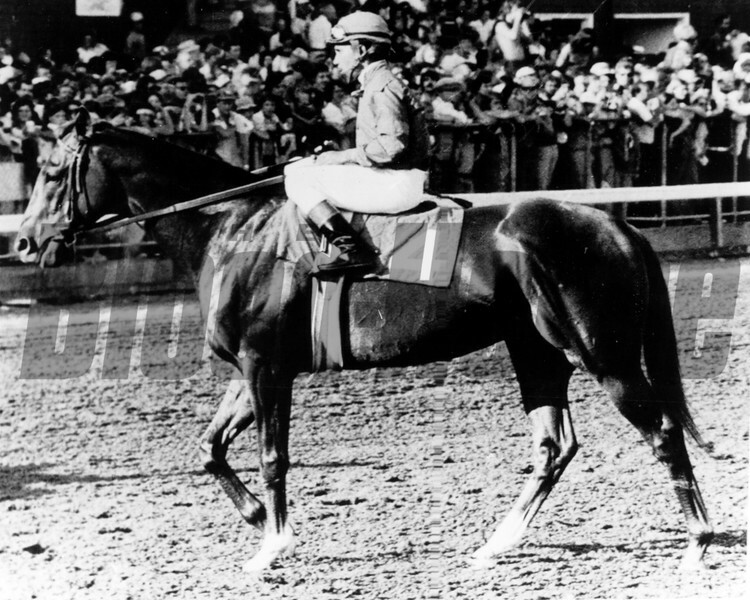 Alydar won the Great American in 1978. 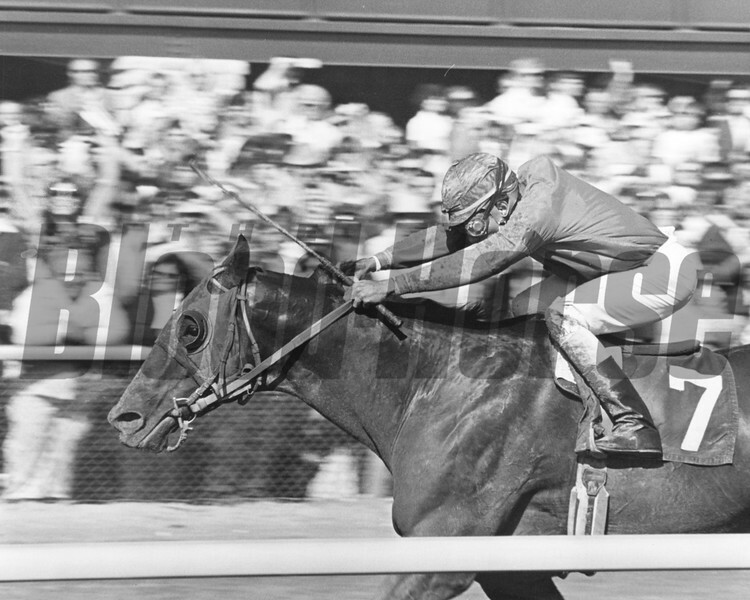 Alydar won the 1978 Whitney Handicap at Saratoga with Jorge Velasquez up. 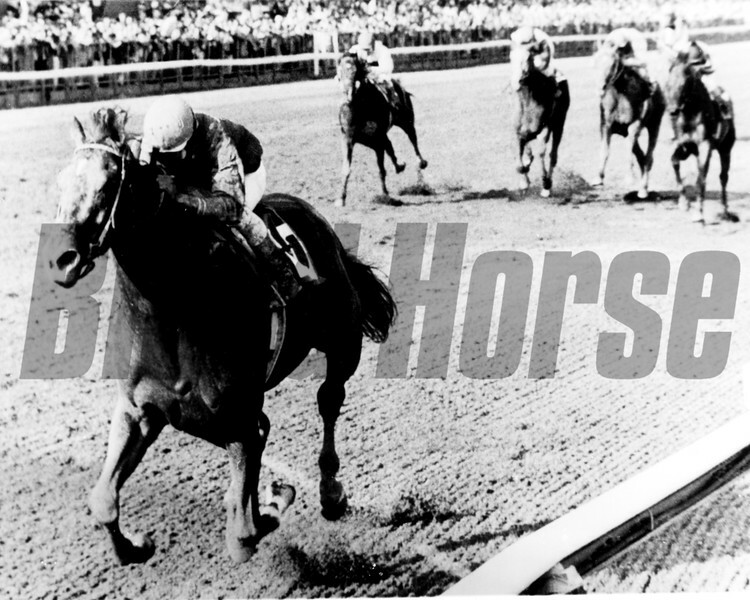 Alydar heads to post at the Travers to face Affirmed in 1978. 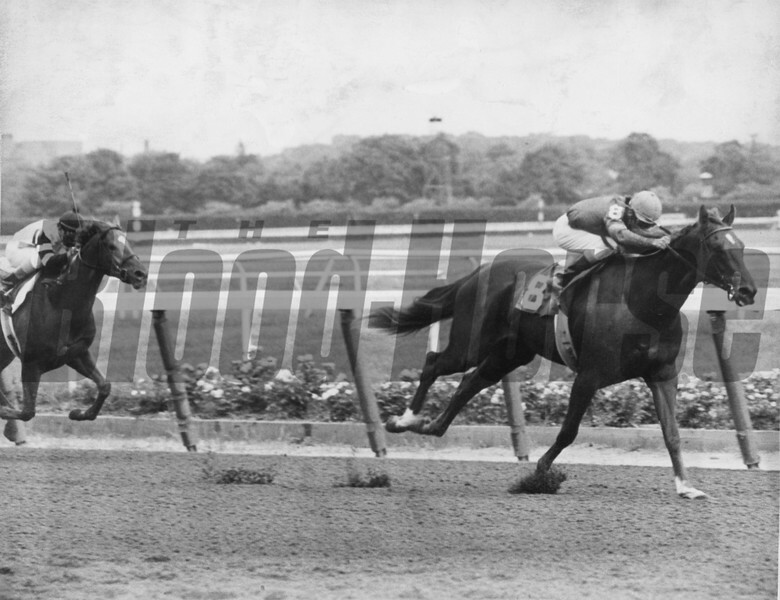 (was declared winner upon disqualification of Affirmed). 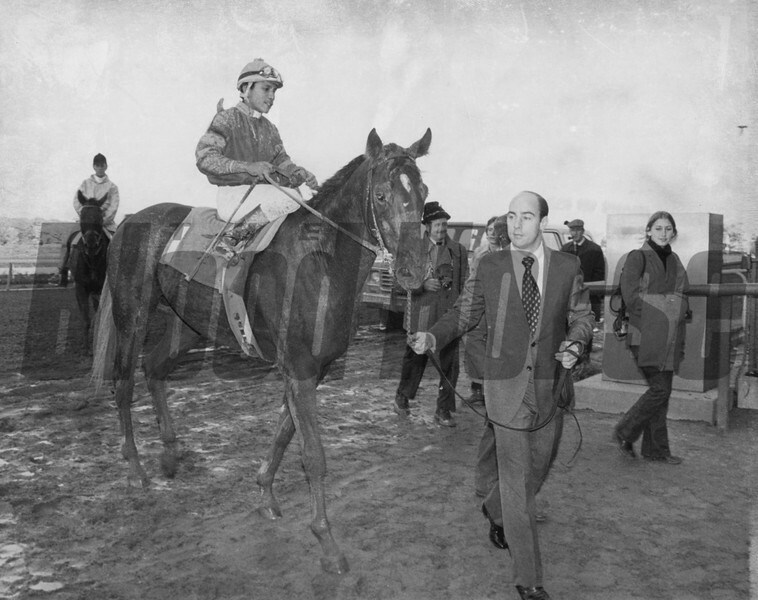 Alydar won the Bluegrass Stakes in 1978 with Jorge Velasquez up.